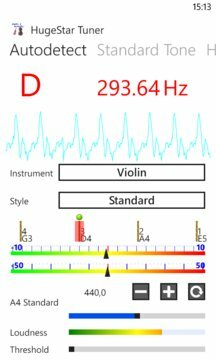 HugeStar Violin Family Tuner, so you can easily use the mobile phone to do tuning for your violin family. 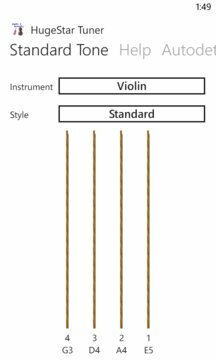 It supports violin, viola, cello and double bass, and supports several tuning styles. Easy to use, precise instructions, it is your powerful violin family partner.